Meditation is a very personal and different experience for everyone who does it. Judging ourselves and modeling our practice after what others do defeats the process of learning to trust yourself. All road lead to the same place, the journey is in finding the road that you want to travel. For some it is chakra meditations, others go to silent retreats. The list of practices goes on and on. One thing that you can be sure of is that when you find the one that suits you, you will know it. It will feel like something you have done before. It won’t be a struggle and you search will stop. For me it was chakras. Somewhere along my journey I was exposed to a practice that meditated on opening up the chakras. It was like I had done it 1000’s of times before. The more I did it, the better I got at it. In time I did go back and read many books on the topic only to find out that most of it I had already done without ever having been taught. It was the path for me. Over time I awakened my kundalini through the process of chakra meditation. 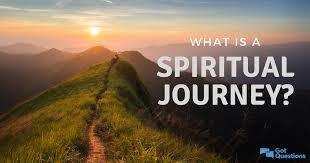 Spirituality is about experimentation and through elimination you will find your path. Unlike other life experiences we are not encouraged or expected to use someone else’s idea of enlightenment as our own. For each it will be different, but the outcome will be the same. In the end a realization will occur that there is no perfection, no destination, and no end to spiritual growth. In this realization the desperation and insatiable need to get somewhere or understand something will subside. The final outcome will be that there is no rush because there is no end. There is no right or wrong way to do anything. At first this may come as a disappointment to you, but in time you will be grateful for the peace and release that you will experience in knowing that we are nothing more than experiencers. We have the right to choose joy and wonder or we can choose struggle and difficulty. 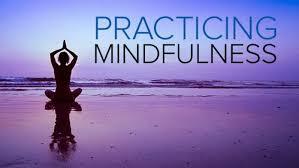 In answer to your question on maintaining mindfulness, if you feel mediation is your path than by all means pursue it. Try to be easier on yourself with your expectations. Thoughts may come and go and that is ok, in time once these thoughts feel they have had their floor time there will be less and less of them. You may even want to write the thoughts down and promise them that after your meditation you will sit with each of them and listen to what they have to say. There is a lot of wisdom in the body that you can learn a great deal from by doing this. Don’t discount the interruptions in your meditation and something that need to be eliminated. Quite the opposite they may need to be illuminated. Another practice that works quite well is to have some kind of focus during mediation. Chants, humming, mantras, or focus on energy centers can help you obtain focus better. However, if there are persistent thoughts listen to them and write them down. Check out my website at Your pain is my painfor meditations practices and more information on these topics. What you are experiencing is what is referred to as the dark night the soul. Often after we have an awakening everything that doesn’t support that change in us begins to fall away. After the dark night there is always a new day. This is what you need to focus on. Give yourself the time needed to adjust to what is happening in your life. An awakening is an opening up of your true nature, it is you becoming you. Everything changes and many times the people in our lives, our jobs, and our purpose in life will be completely different than what it was. This can cause a lot of chaos and commotion among your friends and family. There will be those who change with you and those who want to hold you still. Those who want to hold you still will most likely fall away from your life. This is where a lot of the pain and darkness comes from. When an awakening occurs we begin to see all of the areas in our lives that originally were hidden from us. Negative thinking like, gossip, jealousy, anger, to list a few will come forward for you to look at. Many situations will present themselves to show you where these things are happening in your life. When this happens you will fall into judgement and unworthiness. The new dawn will come as you begin to realize that judgment and unworthiness are yet another form of negative thinking. When you replace that with gratitude and appreciation your new world will begin to unfold. By noticing all the areas that you want to raise or change in yourself, you are actually transforming yourself. Why would you feel any shame or disappointment in that? Once you realize that in the noticing of what needs to change is what causes the change, now you can begin to be grateful to yourself for finally being able to see. When an awakening occurs it allows us to see. When we see, we change. That is a process that takes time and our only job is to continue to see. Do your best to be grateful when you see something that you'd like to change. That in itself will assist you in the change. All of us have life experiences that cause us to behave in certain ways. There is no shame in that. We just need to be compassionate with ourselves and not judge. Many people write to me and ask me how they can seek revenge on their cheating partners? Other's ask how can I get back at someone who has hurt me? My response is always the same, what someone does is their karma and how you react to it is yours. There is a mental and moral universe and if used wisely a man can bring about the state of things which he desires. If a man is not aware of karma and blindly goes about his life without thought, he will say, "That is my nature, and there is nothing I can do." Part of this is true because he has made his nature in his past and now that is his karma. Karma helps us to learn the lessons we came here to learn. It is not a form of punishment, as most people believe, but an awareness of how what we think and do manifests in our lives through our direct experience. It is a complex law and can take some effort to understand. 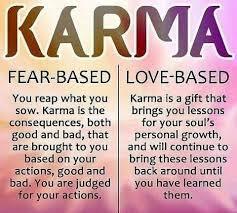 Let's dig into it and get clarity on what karma is and how it works. The golden rule of karma is to do unto others as you wish to be done to you. It is the aspect of cause and effect. It doesn't justify revenge understanding each act is directly attached to the one that commits it. In other words, it doesn't matter what anyone does to you, all that matters is what you do. Nothing in life is just happening, we are participating and having interactions that are causing our life to unfold. There is nothing that happens outside of you that hasn't begun in your eternal world. So we must imagine something inside ourselves to manifest it outside ourselves. Your not a victim in anything that happens in your life. If you refuse to accept something the world will keep presenting it to you over and over again. It is the law of the universe to reflect back to you a mirror image of yourself. So not liking something or accepting something can recreate it in your experience. Forgiving someone that hurt you knowing that somehow knowingly or unknowingly you created the experience, can help you not to repeat bad experiences. As you grow as a person the people that surround you will change. Wherever we go, there we will be. Changing people around us won't change our reality, changing ourselves is what changes our reality. Anytime something is going wrong there is something out of alignment inside of us. By taking responsibility for our strong emotions and the way we react we can master our internal and external conditions and learn to live in peace. If something manifests that seems to be disconnected from our own reality we must remember that everything in the universe is connected. The past, present, and future are all one when we are using correct action in our internal world. When it is our intention to improve ourselves we can't have bad habits, thoughts, and feelings that are not in alignment with our intended goal. We are called upon to walk our talk. Speaking our truth and being honest is part of karmic patterns. You must teach by your example and be willing to act in ways that support your words. There is no future in your past. If you continue to reevaluate your past you will not be able to move ahead in your future. All old beliefs, patterns, and thoughts, will hamper any new perspectives. You can't keep doing the same thing and expect different results. Any old belief systems, thought patterns, or old desires, will hamper any new experiences from coming into your reality. In other words, there is no future in your past. If you continue to constantly go over your woes in your past you may create more of those things you don't want in your future. If you want different results than focus on different things other than what has happened in your past. 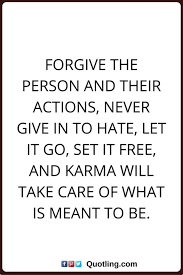 Carrying a grudge, wanting revenge, and behavior along these lines will not get you what you want in your future. This is why forgiveness is so vital for your future. Things are constantly changing in our lives, nevertheless, history will repeat itself over and over again until you learn your karmic lesson. Study these laws and make the necessary corrections so you don't have to repeat unpleasant situations. Your reality will change once you understand your teaching and amplify that out through your understanding. Being persistent, doing good deeds, and working at projecting good karma, are all vital for your future. All good deeds will be rewarded and nothing can manifest out of nothing. Cultivate the best in yourself through your actions, words, and deeds. The amount of energy you put into something will directly correlate with its value. Not only does a good deed add value to the one you give it to, it is a contribution to the collective whole. Don't look for pay back from the one you do the good deed for. It may come back to you through a stranger years later. Trust in the process and the better you do the more good you will see in your life. Karma is the combination of everything, it never begins and it never ceases. There is nothing that manifests on its own.